Police mobilises hundreds of officers as anti-fascist activists rally peacefully in downtown Charlottesville, Virginia to mark the anniversary of last summer's white supremacist violence. Charlottesville, Virginia on Saturday marked the anniversary of last summer's white supremacist violence with marches, vigils and other community events that began unfolding peacefully amid a heavy police presence. As many businesses in a popular downtown shopping district began to open on Saturday, law enforcement officers outnumbered visitors. Concrete barriers and metal fences had been erected, and police were searching bags at two checkpoints where people could enter or leave. "It's nice that they're here to protect us," said Lara Mitchell, 66, a sales associate at a shop that sells artwork, jewelry, and other items. "Last year was a whole different story. It looked like a war zone last year compared to what it is today." TRT World's Jacob Brown reports. Saturday marked the anniversary of a night march by torch-toting white supremacists through the University of Virginia's campus a day ahead of a larger rally in Charlottesville's downtown. On August 12, hundreds of white nationalists — including neo-Nazis, skinheads and Ku Klux Klan members — descended on Charlottesville in part to protest the city's decision to remove a monument to Confederate General Robert E Lee from a park. Violent fighting broke out between attendees and counter-protesters that day. 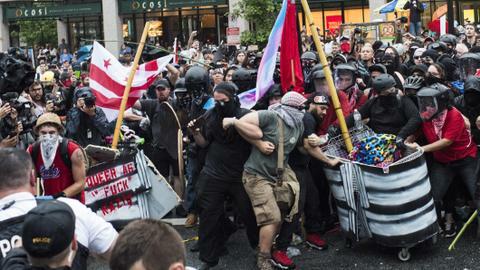 Authorities eventually forced the crowd to disperse, but a car later barreled into a crowd of peaceful counter-protesters, killing 32-year-old Heather Heyer. The driver of the car James Alex Fields Jr has pleaded not guilty and his trial is set to begin in November. 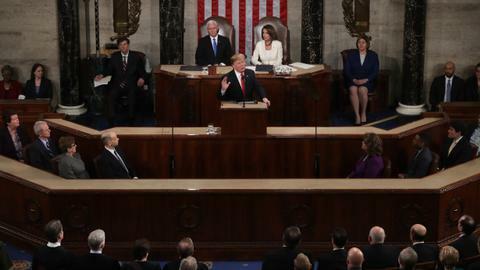 Meanwhile, US President Donald Trump said on Saturday he condemns "all types of racism and acts of violence," appealing for unity. 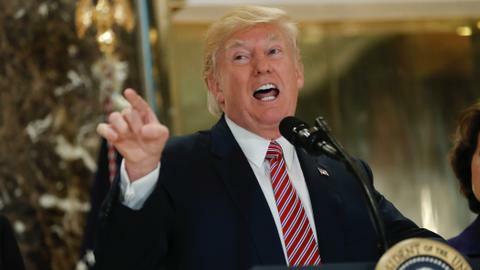 Trump drew strong criticism in the days after the Charlottesville rally last year for equating white supremacists with counter-protesters and saying "both sides" were to blame. On Saturday, Trump wrote on Twitter that the "riots" in Charlottesville "resulted in senseless death and division. We must come together as a nation. I condemn all types of racism and acts of violence. Peace to ALL Americans!" 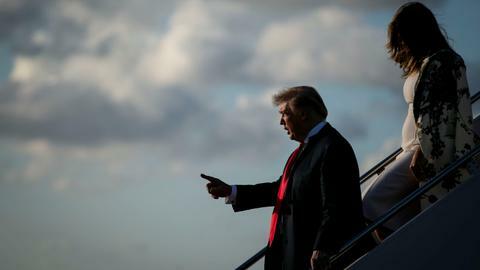 The organiser of last year's event, white nationalist Jason Kessler, was denied a permit in Charlottesville this year but has secured permission to hold a demonstration on Sunday in Washington, across the street from the White House. TRT World speaks with Shefik Macauley, a radio show host. Clara Carlson was one of those counter-protesters. Carlson, 22, said she feared for her life when she and a group of her friends were surrounded by the phalanx of young white men at the statue. "We don't want to be painted as victims," Carlson said on Saturday, several hours before students and activists gathered for a rally near the statue on the anniversary of the campus confrontation.